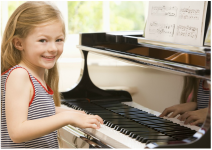 There are numerous reasons why one would want to play the piano. Once the determination is made to take lessons, then finding the special teacher is a key element. Through our working together, we can outline the goals and objectives to be accomplished through weekly lessons. Each student has special gifts, talents, skills and abilities to be enlightened, enhanced, excelled and expanded. Lesson plans are designed to bring out the best in each student. noticed that "the way a person interacts at the piano is the way they interact in life". For instance, if you are quiet and reserved, then chances are you will play the piano the same. If you want to work on a particular area, such as that, then gaining confidence and expression through playing faster and louder pieces of music, playing fun songs that have an emotional attachment, plus performing in recitals, all assist in being more confident and assertive in life. I once had a student that often shared that he wasn't ready for lessons because dad didn't have time to help him. At his age, it was possible to train how to teach himself which lead to more confidence and independence. Before long, he was always prepared for his lessons!! 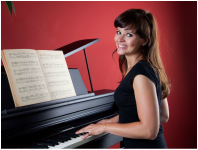 ​So many stories can be told about the results of being a piano student as well as the blessing of being the teacher. After many years of teaching, it's still exciting to work with each student to assist them to excel in each special area of interest and talent.